If you are coming from near the PATH Station like we did, this spot can be a bit of a walk. But pay this hike no mind. Once you reach 908 Washington Street, the trek will have been worth it. 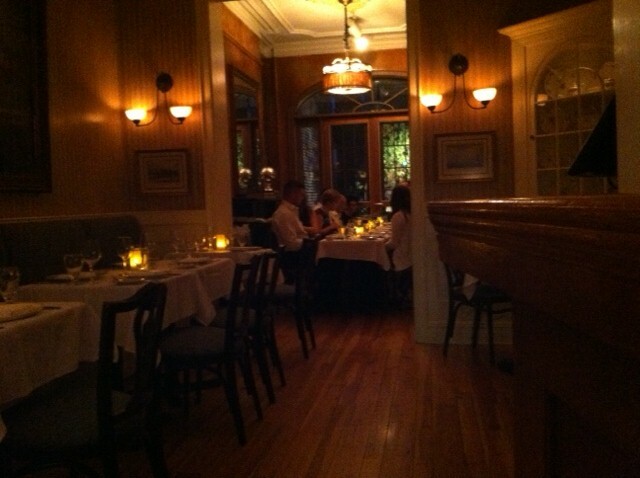 Amanda’s Restaurant is situated inside of a classic brownstone from the late nineteenth century. You may want to spend some time outside to marvel at the place’s ornate exterior, but the real sights lie just beyond the front door. I visited on a Thursday during the early evening hours to sample the drink menu, and get a general taste for this place since I haven’t even passed by it on the street previously. In the entrance sits Amanda’s small yet beautifully designed bar area which can also double as it’s lobby/waiting space for dinner guests checking in with the host. The bar is made of light wood to brighten up the room. A few high stools fit snugly in front of it, providing just a handful of seating. During my visit two gentleman both wearing suits and Oliver People’s glasses were sitting there having a few laughs over beers. Amanda’s bar serves a diverse selection of craft bees on draught from such breweries as Atlantic Highlands’ own, Carton. Yet on this particular evening my tastes tended more towards vino. Luckily for my friends and I, wine is the name of the game at Amanda’s. Both at the front bar or in the stunning dining room, guests can sample glasses or order entire bottles from a lengthy wine list that has been specially curated. For those celebrating a special event or for those who have a comfortable discretionary income, a reserve list is also available. After a brief, yet lively discussion about my dry style wine tastes with the friendly bartender, I ordered a glass of the, “Finca el Origen 2011 Malbec” ($10 glass). This Argentina red perfectly matched my pallete, making it extremely pleasurable to sip on. Sure, the price might appear steep for a single glass of wine, but once you take your first sip you will know the money went to the right place. If you love fruit infused liquors, Amanda’s has you covered. All of these expert concoctions such as the cranberry infused vodka are made in house, so be prepared for a bold spirits adventure! During my next visit I will be sure to call ahead for a table. If the food is as good as the spirits, I believe we have a real winner on our hands. 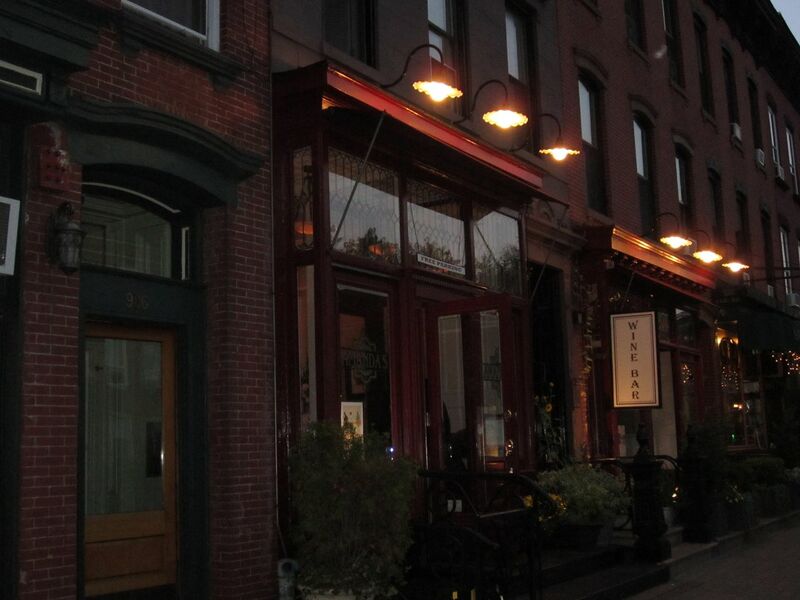 Preconceived notion – Fancy restaurant in the uptown section of Hoboken. 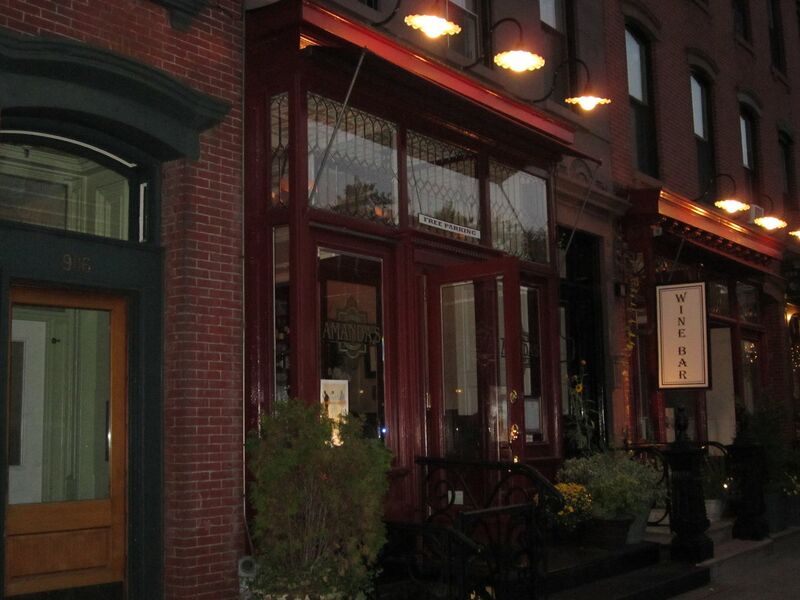 Bar Type – A vintage bar at the front of a restaurant that recaptures the history of Hoboken. Crowd stereotype – Families and business professionals enjoying a drink and dinner. Music – No music was playing during my visit. Value – You won’t find a Happy Hour here. But again, once you sip a glass of their wine you’ll know where the money went. Date – Amanda’s is perfect to impress that first date for a drink at their classic bar. For those in long term relationships, why not celebrate an anniversary and share some fine wine and a great meal. Hookup – Sure, you can share a sweet kiss over dinner. But don’t go trying to pull a full on make out session. Dance – Sorry, busting out your best moves won’t fly at Amanda’s. Better try a lounge way downtown! Catch up with a friend – Absolutely. Amanda’s laid back yet classy atmosphere provides an environment ripe for long conversations. First or last drink of the night – Either. A glass of wine in this elegant space is perfect for all points in the evening. Just don’t arrive drunk, this joint is classy. Overall - If you are looking for something other than the traditionally young geared Hoboken scene, Amanda’s is your stop. 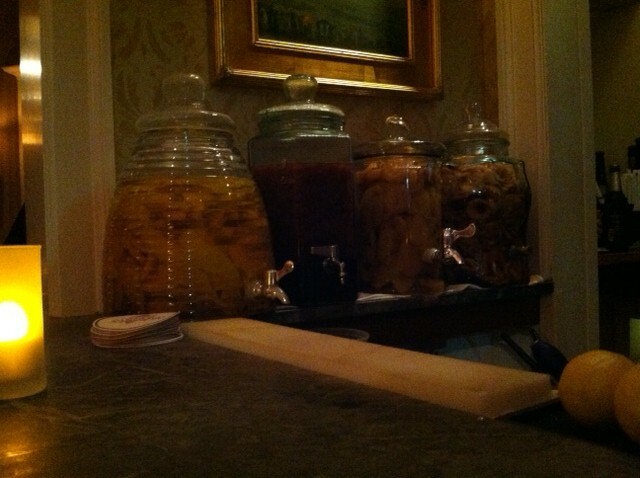 The restaurant recaptures classic, elegant New Jersey dining nightlife like no other spot in the community. I wholeheartedly suggest you take a seat at their well stocked front bar, chat with the highly knowledgeable bartender and dig into their vast wine menu! That being said, I’ll give it a 8.4.